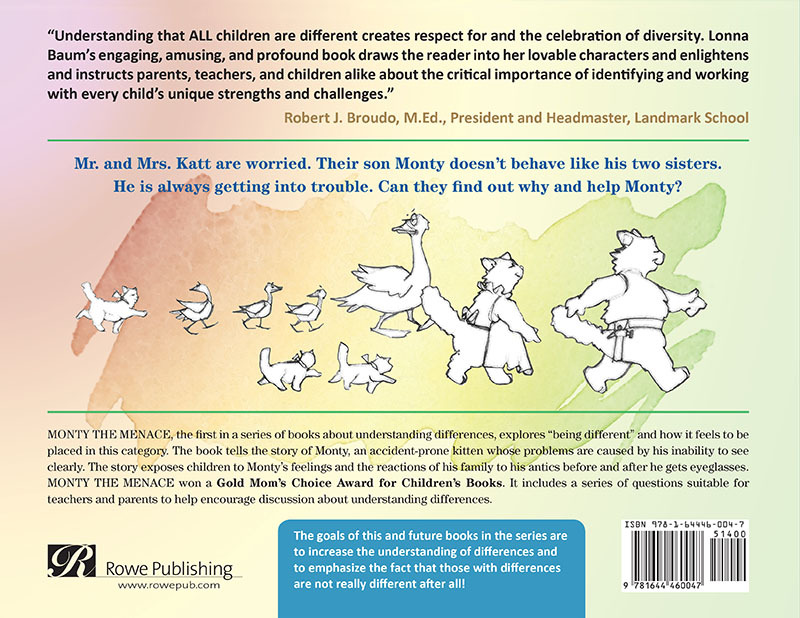 A Gold Mom’s Choice Award, Monty the Menace—Understanding Differences: Vision (Book 1) explores “being different” and how it feels to be placed in this category. The book tells the story of Monty, an accident-prone kitten whose problems are caused by his inability to see clearly. The story exposes children to Monty’s feelings and the reactions of his family to his antics before and after he gets eyeglasses. Mr. and Mrs. Katt are worried. Their son Monty doesn’t behave like his two sisters. He is always getting into trouble. Can they find out why and help Monty? 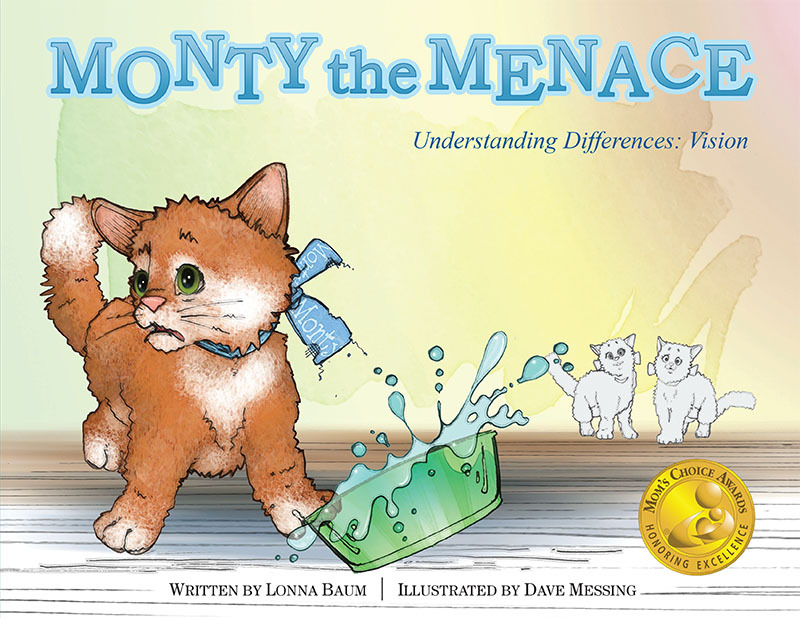 Monty the Menace—Understanding Differences: Vision, the first in a series of books about understanding differences, explores “being different” and how it feels to be placed in this category. The book tells the story of Monty, an accident-prone kitten whose problems are caused by his inability to see clearly. The story exposes children to Monty’s feelings and the reactions of his family to his antics before and after he gets eyeglasses. 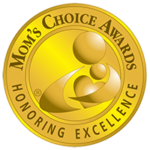 Monty the Menace won a Gold Mom’s Choice Award for Children’s Books. 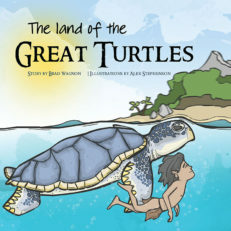 It includes a series of questions suitable for teachers and parents to help encourage discussion about understanding differences. 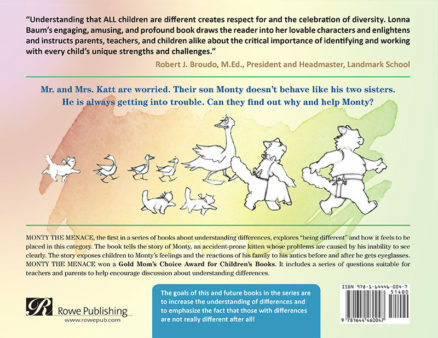 The goals of this and future books in the series are to increase the understanding of differences and to emphasize the fact that those with differences are not really different after all! 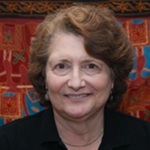 Lonna Baum graduated from Boston University with a degree in physical therapy. 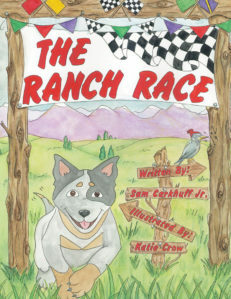 After working in the field for many years and volunteering in a disability awareness program for first and second graders, she decided to expand children’s understanding of differences through literature. Monty the Menace is the first in a series of books with this goal in mind. She lives in Michigan with her husband and has two children and two granddaughters. Lonna Baum graduated from Boston University with a degree in physical therapy. 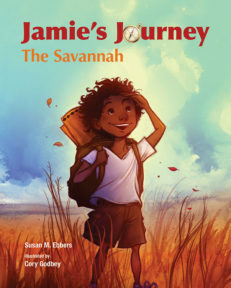 After working in the field for many years and volunteering in a disability awareness program for first and second graders, she decided to expand children’s understanding of differences through literature. 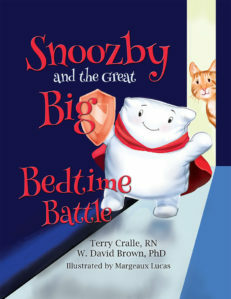 Monty the Menace, which won a Gold Mom’s Choice Award, is the first in this series of books with this goal in mind. 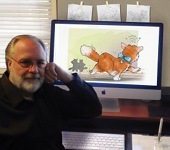 Patti the Pest is the second book in the series to be followed by Freddy’s No Fun. Lonna lives in Michigan with her husband and has two children and two granddaughters.